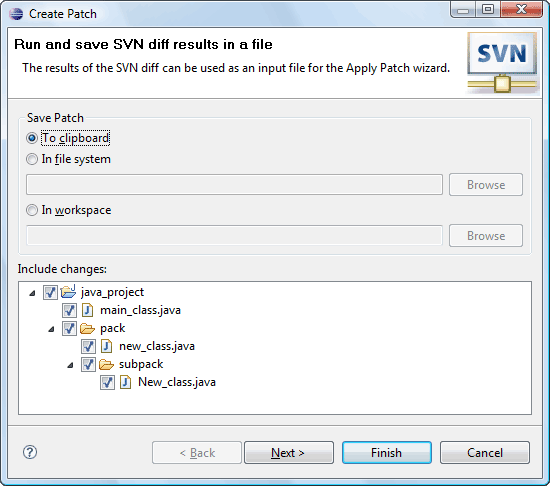 Patch is an information on differences of revisions (remote patch creating) or differences between workspace copy and base revision. The user can save this info to clipboard or to specified local file system file or project file. To perform the action click on the 'Team>Create Patch...' menu item of the resource pop-up menu 'Create Patch...' menu item of the 'SVN main menu group'. The wizard will help the user to perform the operation. 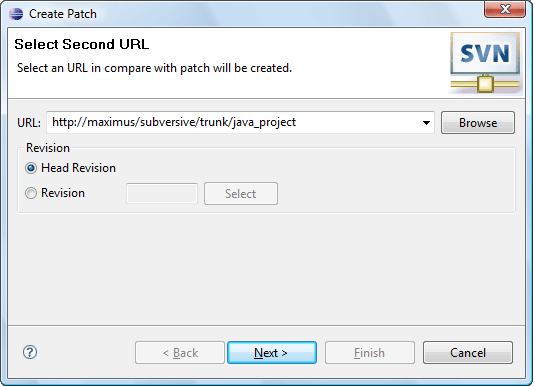 Later created patch may be applied to another revision of the resource. 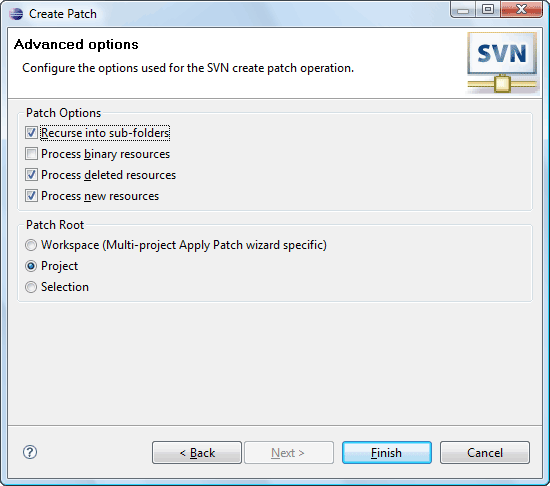 Applying patch means setting a resource contents to a state specified in the patch. To apply a patch click on the 'Team>Apply Patch...' menu item of the resource pop-up menu.